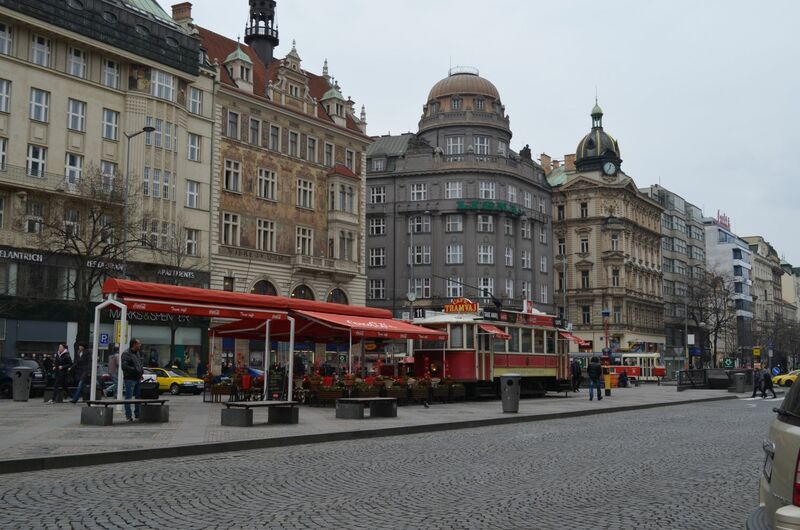 Let’s start light: Wenceslas Square is the gate towards the old and very old town and it’s where most Hotels are. We found a great airbnb deal right around the corner and this square is where we grabbed breakfast before heading out. 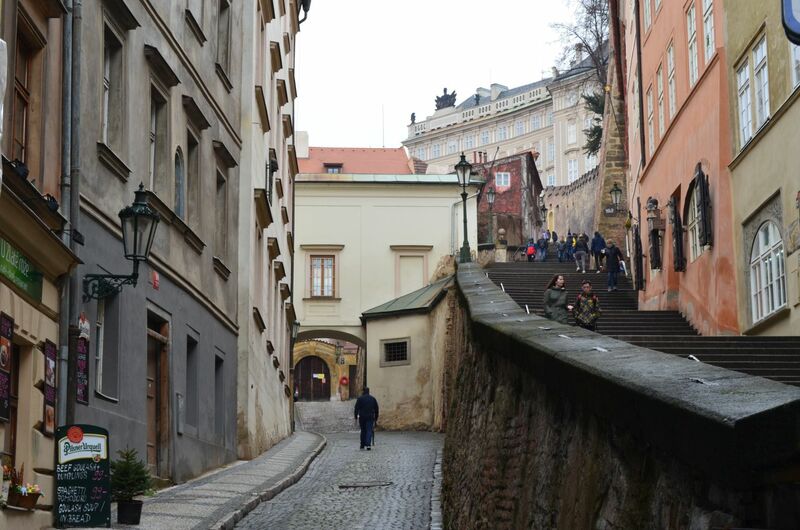 Prague reveals itself bit by bit as you walk towards Old Town. 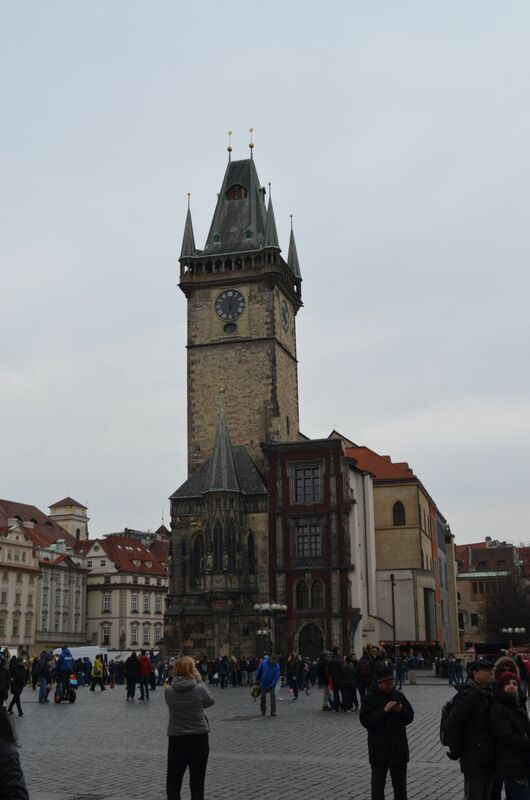 The Astronomical Clock square is where everyone ends up, especially at night. Must be something about the skeletons ringing bells that just…beacons! I wont leak any photos of the facade, you have to come here to see it for yourself. Oh, is it lunch time already? 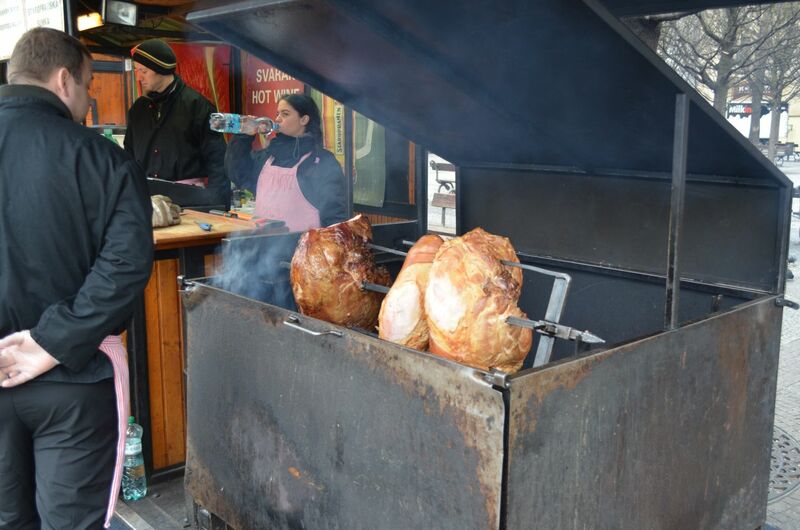 The Old Town square is lined with open fire cooking, mulled wine, beer and sausage grills. 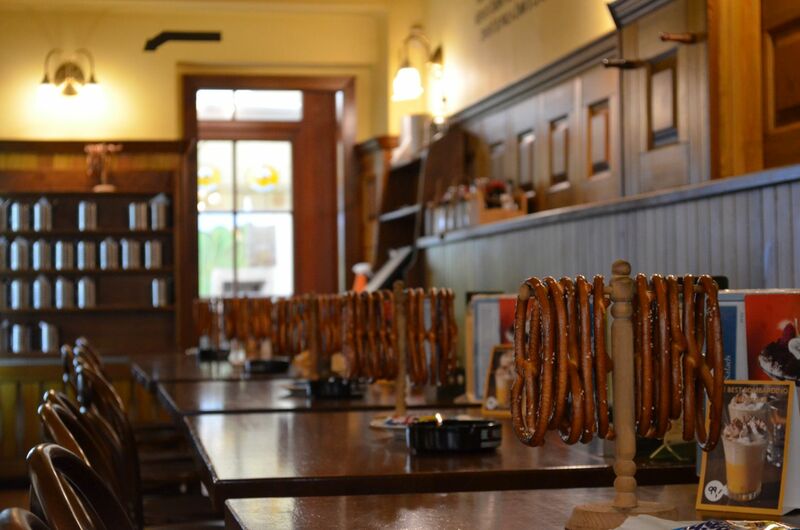 One of the many beer houses/restaurants around town. 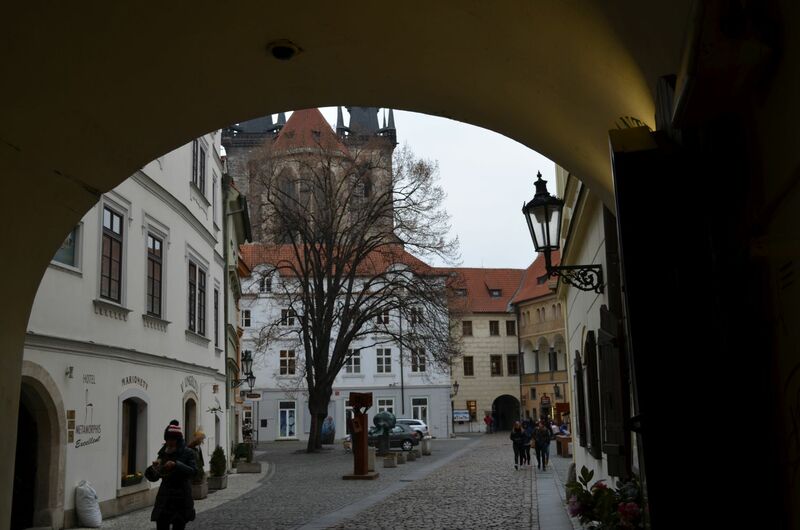 Czech beer is famous all over the world and in Prague they do it justice. 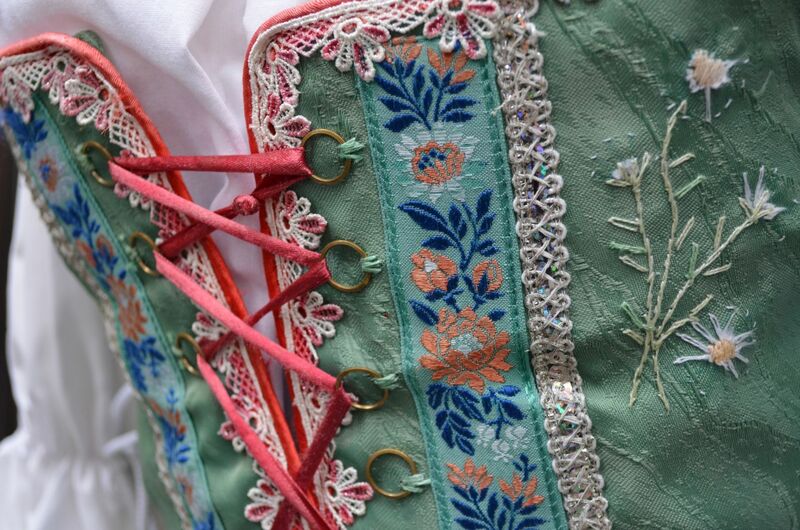 The traditional dress style is typical of Eastern Europe with it’s flower themed ornaments. 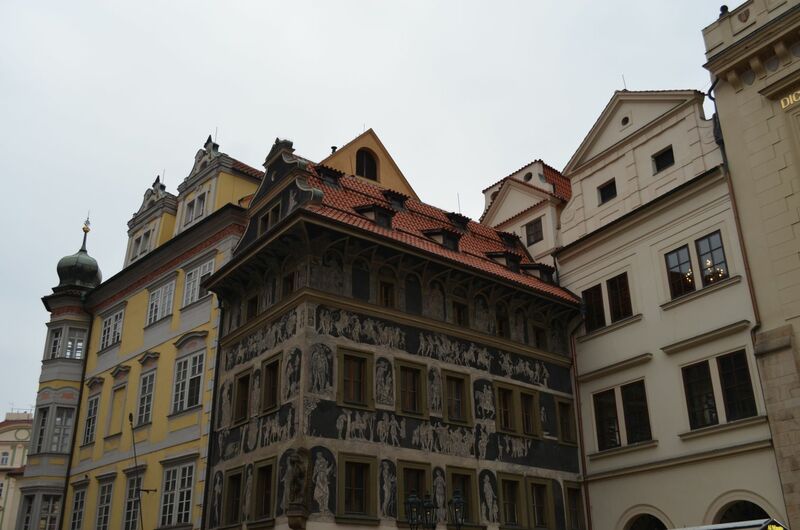 Everywhere you look Prague has something to show you. There is no building left to the odds, no run down, out of business establishments around. Everything is alive, clean and picture perfect. 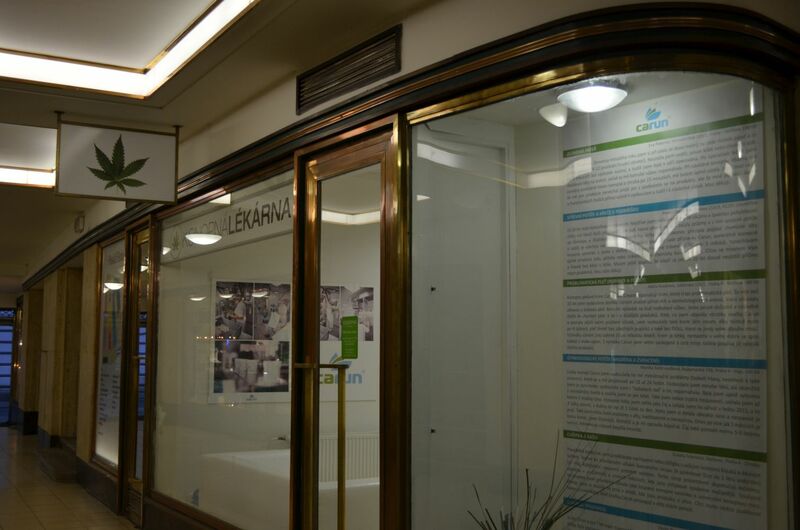 This, my friends is a Cannabis pharmacy. Dont get excited though, weed is still illegal (yet tolerated, wink) and the only thing you can buy here is medicine made out of cannabis, after they take all the fun parts out. 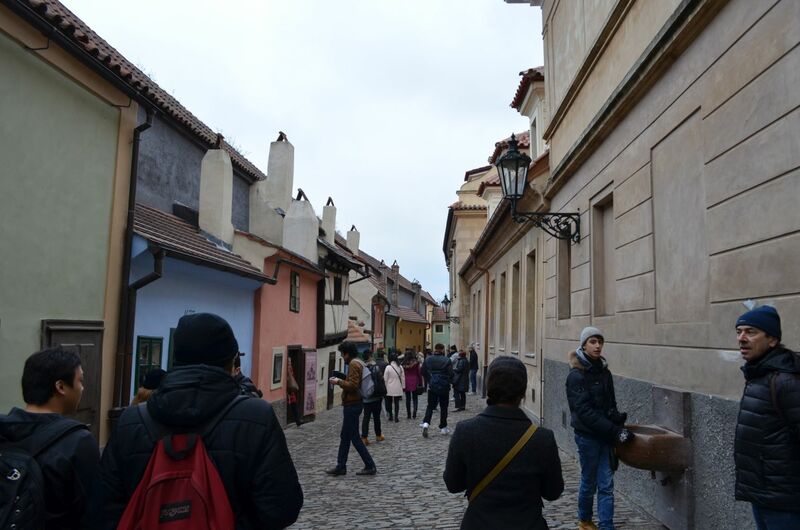 Navigate your way through the streets and you’ll find yourself face to face with Prague Castle. 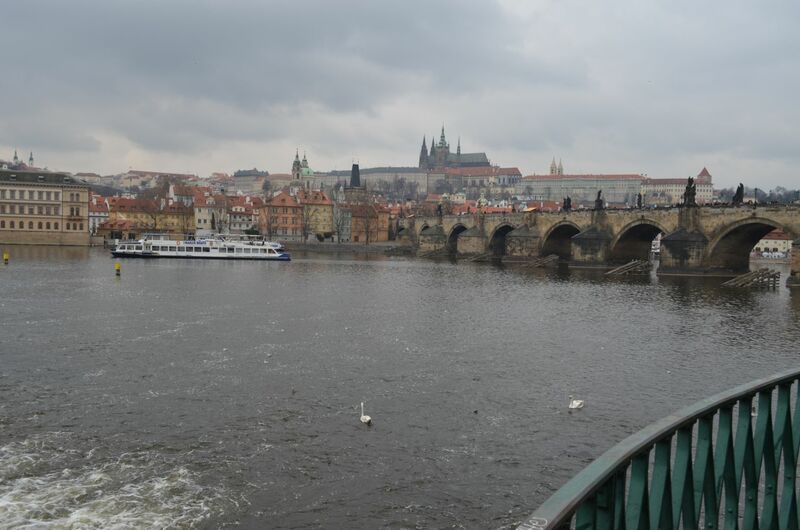 On top of a hill overlooking the Vltava river, the castle is a complex of buildings which form the oldest medieval governance construction still in use to this date. 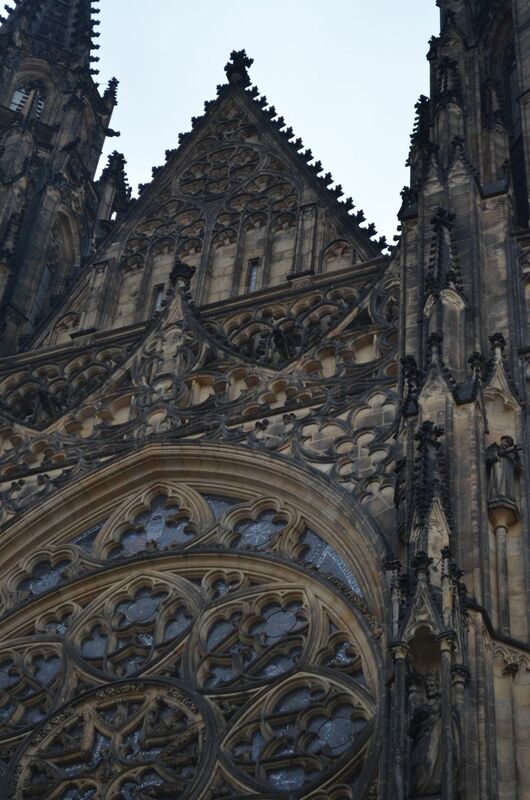 St. Vitus Cathedral sits in the middle of the Prague Castle Complex and entry is permitted with a ticket and in scheduled intervals. 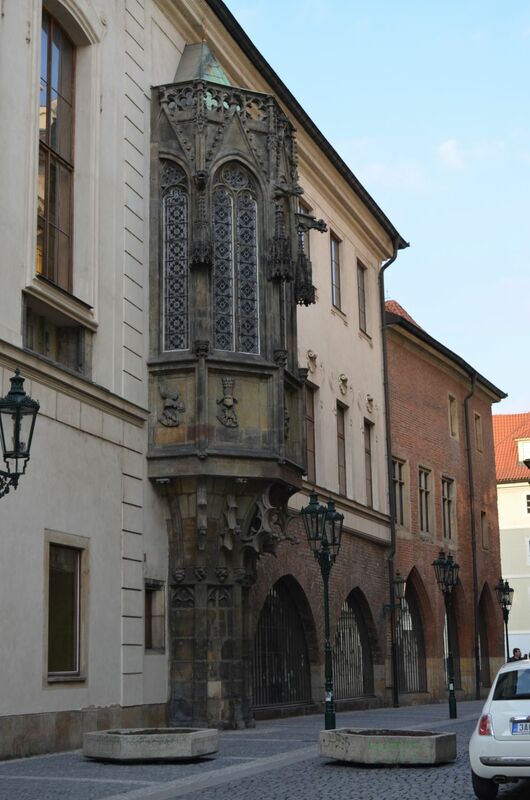 The outside structure will make your neck hurt as you count the gargoyles that guard it from up above. The Golden Lane is part of the full entry ticket tour and it is lodged on the side of the hill, barely hanging on over the cliff. 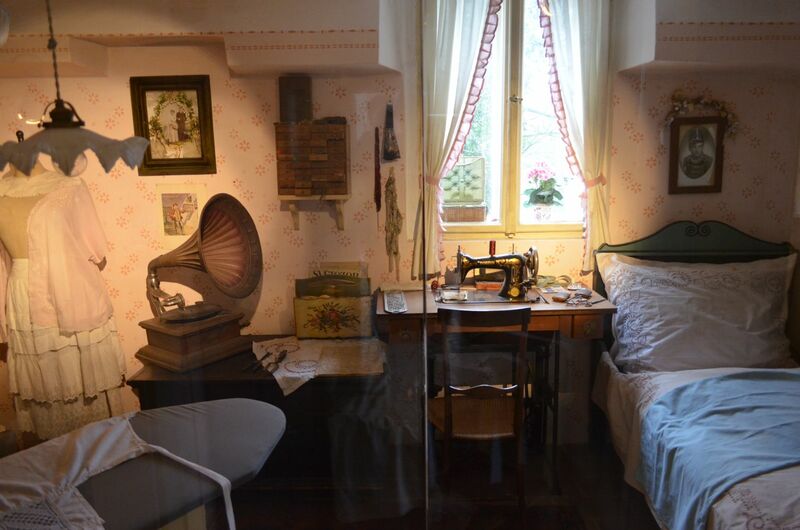 The little colourful houses were the homes of very diverse people over the ages, from servants to alchemists and witches to even Kafta at one point. One thing I love about this city is how everything is a product of careful design. 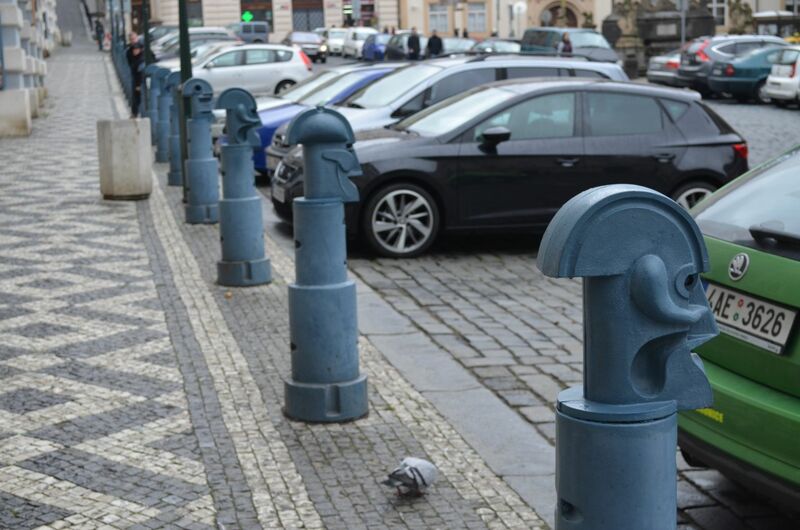 These serious blue soldiers guard the sidewalk in silence. Be prepared for lots of walking while visiting the castle. 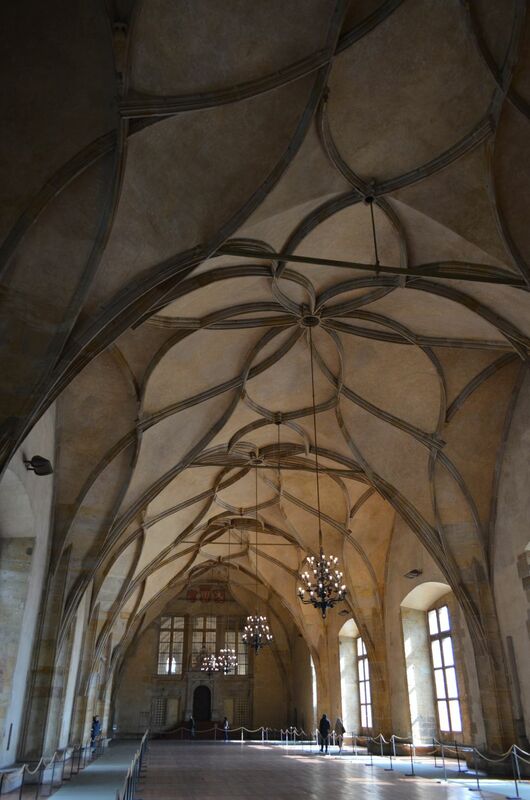 This is my favourite room in the Castle, the Vladislav Hall built in 1485. Just impressive! 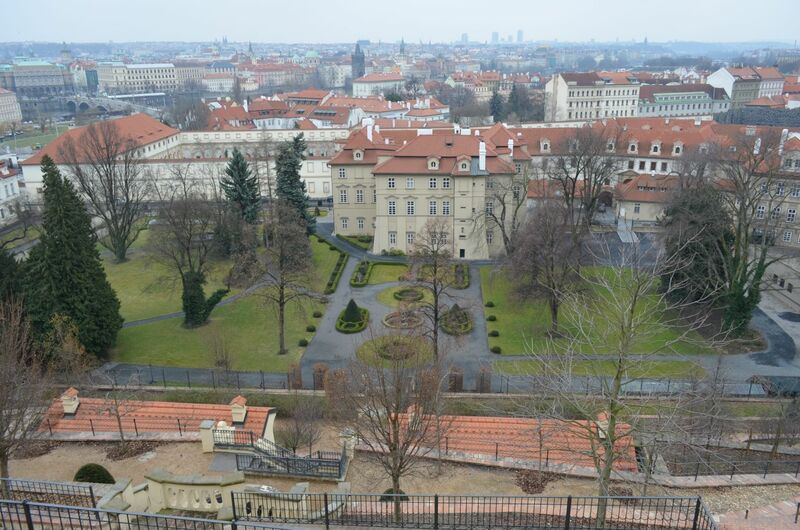 From the top of the hill you can see various gardens and even Charles Bridge on the left. 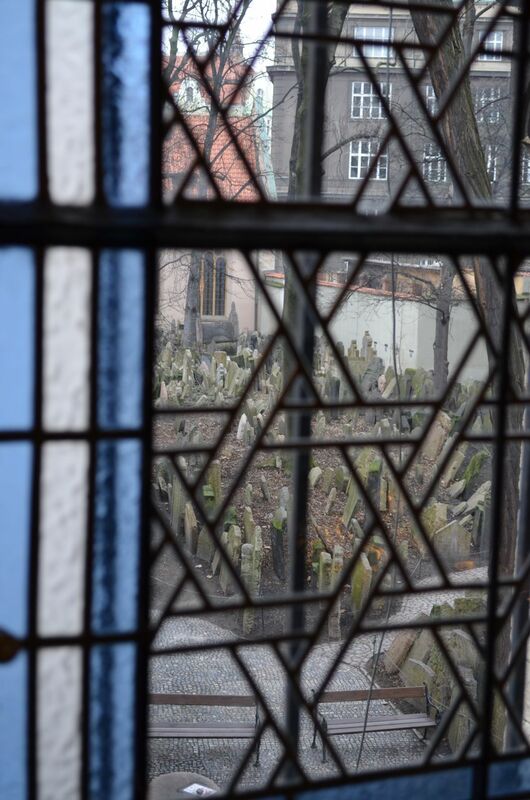 The Jewish Cemetery is part of the Jewish Museum ticket which takes you to several Synagogs and exhibitions around the city centre. 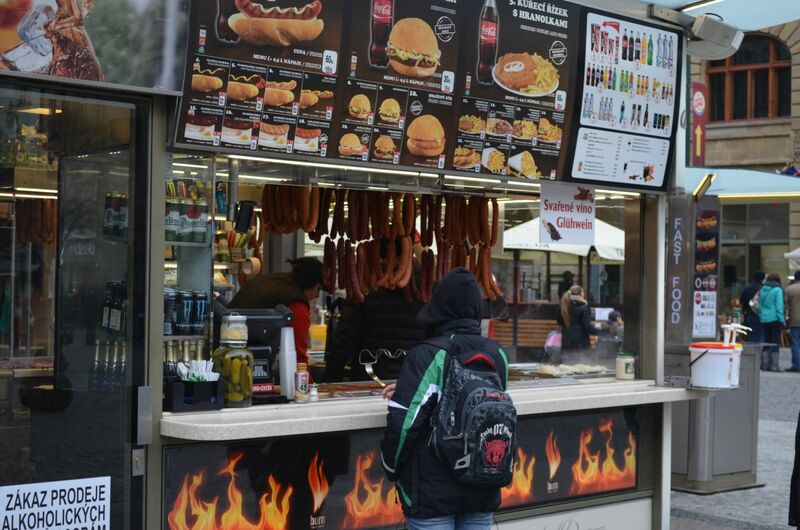 For someone not very familiar with jewish traditions, way of life and values, the tour is a great opportunity to get to know this culture. 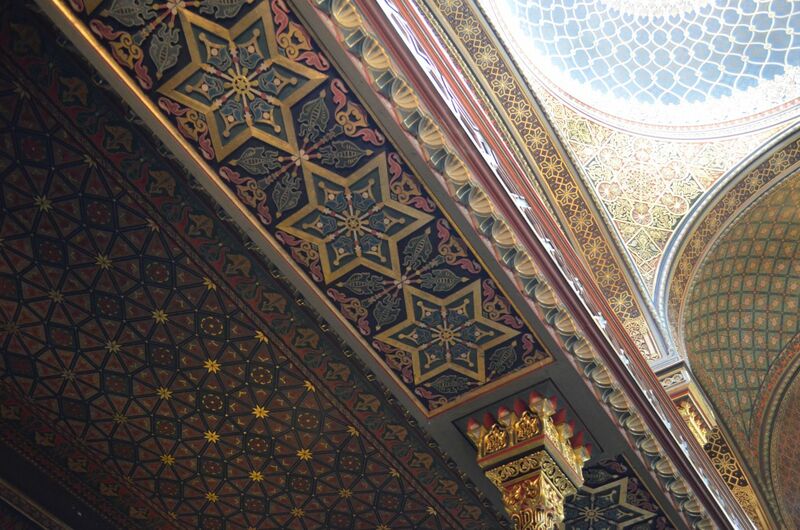 The Spanish Synagogue hints at the Nasrid Palace in Granada with it’s decor but it marries it well with the standard temple structure. 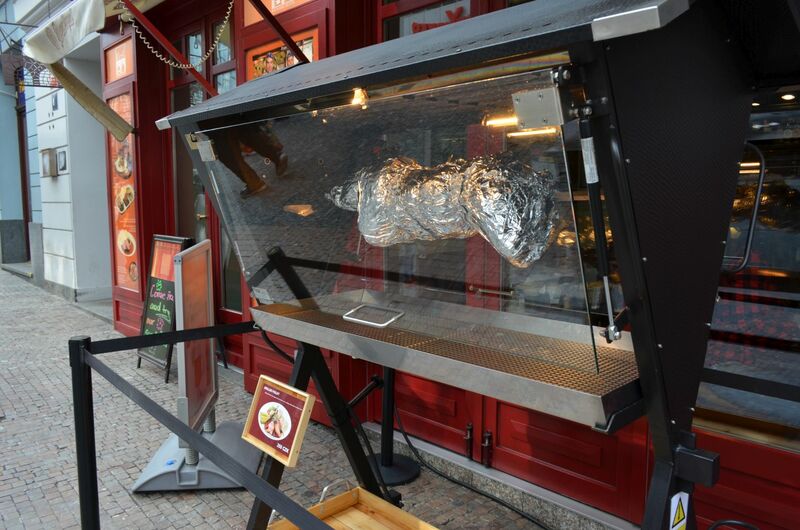 You don’t see an entire pig roasting in the street where I’m from but in Prague it’s quite a common sight if you can believe it. Just one of the treasures hidden like easter eggs around town. 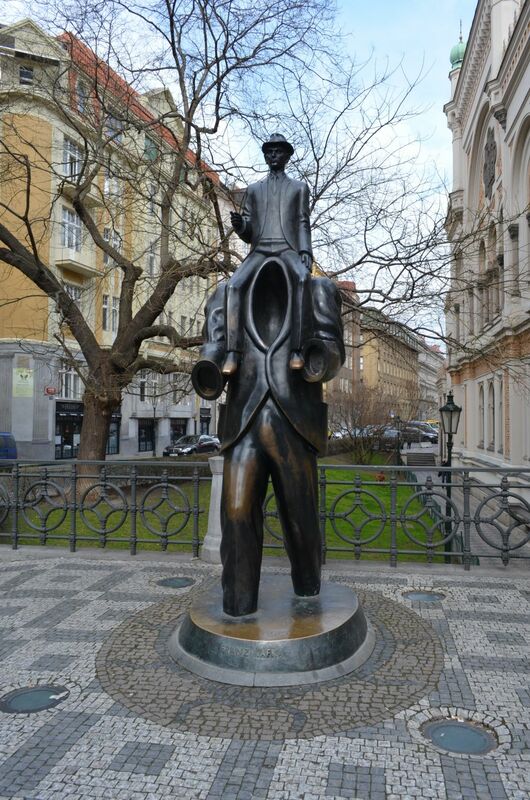 If you’ve got the time, research some of the statues in the centre and follow the path from one to another to really discover Prague. 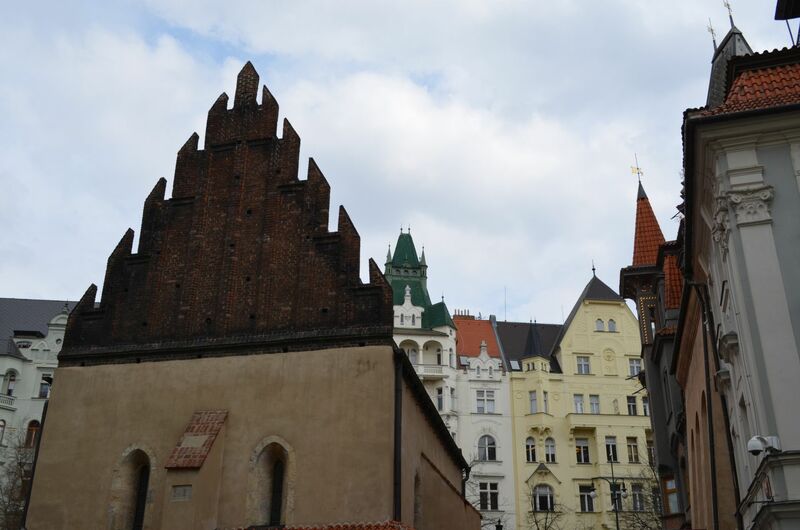 Two distinct figures of this city in one single image: Kafta riding the shoulders of the Golem.